Home | Natural Ingredients | Alternative Milk Explained: Which Alternative Milk Is Right For You? What Is Alternative Milk And Why Use It? Are There More Lactose Intolerant People Now Than There Used To Be? In today’s world, trends come and go. Among those trends are food trends. There are constantly new products showing up on the market claiming to be healthier and tastier than the last. Well, the same thing goes for milk. Consumers don’t need to only choose between whole, low-fat, or skim, there are so many more options to choose from. 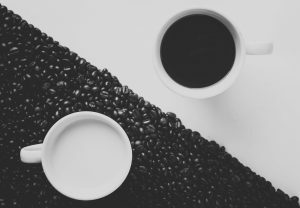 When you’re choosing between milk and the non-dairy alternatives, you should know that they’re not created equally. They differ in nutrition, ingredients, added sugars, taste, and price. A growing number of people are choosing plant-based milk substitutes for a variety of reasons, such as a lifestyle choice or more medical reasons. This is causing the plant-based milk alternatives market to continue to expand. Not only are the varieties of milk different but the brands are too. The manufacturing process and degree of fortification can change a lot about the benefits and nutritional value of the dairy-free milk alternative. Most of the non-dairy milk substitutes are fortified to provide you with vitamin D and calcium. It’s important for you, the consumer, to know exactly what you’re drinking – especially if you want to completely replace cow’s milk in your diet. Alternative milk for your coffee. When an average person is talking about milk, they are usually speaking about dairy milk from animals. It can come from camels, goats, sheep, and most commonly cows. There are plenty of health benefits that come with drinking dairy milk. In more recent years, it’s become increasingly common to use milk substitutes due to peoples health, diet, and personal preferences. There are numerous reasons why someone may prefer a milk alternative compared to the real, dairy thing. Alternative types of milk are plant-based substitutes for your regular dairy milk. They are derived from nuts, seeds, and grains. 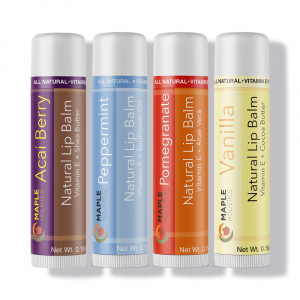 Each one of them has different benefits, along with a different flavor, color, and texture. They are perfect for people who are lactose intolerant, vegan, or have concerns over the hormones in the milk. Added hormones may increase the risk of diabetes and certain cancers. Even if you don’t suffer from lactose intolerance today, it could very well show up later in life. About 75% of the world population won’t be able to break down lactose at some point. 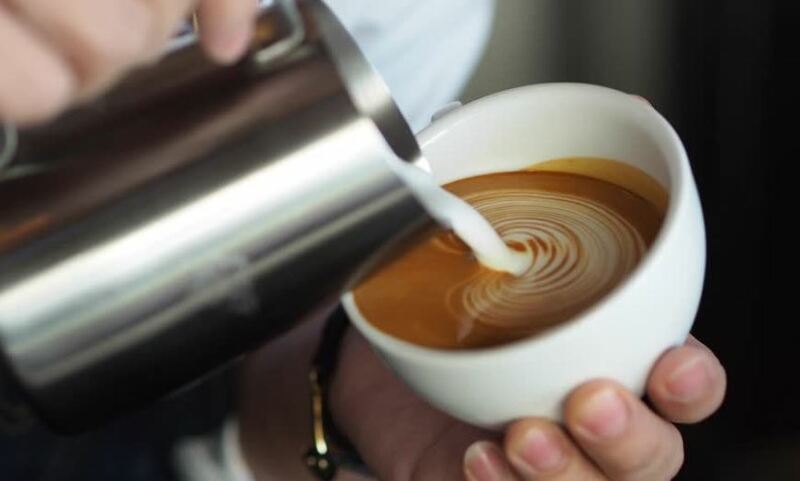 Therefore, there are many milk substitutes available on the market today, as well as at your local coffee shop. It may seem like everyone you know is lactose intolerant, or at least thinks they are lactose intolerant, but, don’t worry, it’s not becoming an epidemic. It just seems that way because as people get older, they realize that dairy doesn’t agree with their stomach quite like it used to. They aren’t making it up either. As mentioned earlier, about 75% of the world’s population will lose their ability to break down lactose like they used to. Many people just naturally become lactose intolerant over time. People also have varying degrees of the condition. Some may have abdominal pain and diarrhea after having a small amount of lactose, while someone else may only have gas. It’s not so clear why the symptoms vary so much from person to person but it most likely has to do with your gut bacteria. You may, however, be able to build up your lactose intolerance a bit though. If you have moderate symptoms of lactose intolerance, some say to consume a small amount of milk or dairy on a full stomach to help recondition your digestive system. There is no official and scientifically proven way to increase your production of lactase. Top 10 Milk Alternatives Explained And Reviewed: Which Is Right For You? 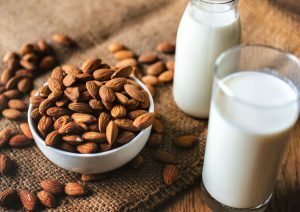 Being one of the lowest-calorie types of dairy-free milk available, almond milk is a great option for those wanting to lower their calorie intake. (Unless, of course, it has added sugar). You don’t even need to purchase it since it can easily be made at home. Almond milk has a pleasant nutty, sweet flavor perfect for your coffee or tea. You can substitute it for cow’s milk in desserts and baked goods. Almond milk, however, doesn’t have nearly as many health benefits as whole almonds. This is because almond milk usually only contains about a small amount of almonds and the rest is made up of water. To get the most out of your almond milk, choose brands with a higher concentration of almonds. Almond milk is a natural source of vitamin E and antioxidants. Antioxidants help to protect the body from free radicals, which cause diseases. Unless it’s fortified, almond milk lacks the vitamins, minerals, and fatty acids in dairy milk. Therefore, it’s not an alternative to breast milk or formula for babies. That being said, it does have a very creamy texture similar to milk which makes it a great alternative. A glass of soy milk. When it comes to nutrition, soy milk comes pretty close to that of cow’s milk. It contains a similar amount of protein but only half the number of calories, carbohydrates, and fats. Soy milk also provides essential amino acids that our body doesn’t make and needs to be obtained from the diet alone. It’s made with either soy protein isolate or soybeans. Soybeans are soaked, ground, boiled and filtered to make soy milk. 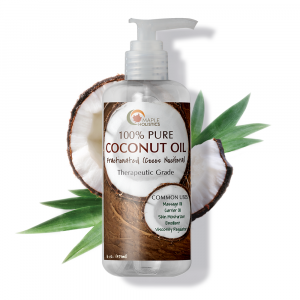 It usually contains vegetable oils and thickeners to improve its consistency and taste. It’s a perfect emulsified mixture of protein, oil, and water. It works best in savory dishes as a substitute for cow’s milk since it has a creamy and mild flavor. It also tastes good mixed in with your cereal or morning coffee. Interestingly, the taste of the soy milk varies greatly between brands. You can find flavored soy milk, like chocolate and vanilla. Soy, in general, is quite controversial. Many people have concerns over its effects on the body. The concerns are mostly because of large amounts of isoflavones. Isoflavones are known to affect estrogen receptors as well as the function of hormones. They also have the potential to reduce the risk of heart disease and breast cancer. However, there is no conclusive evidence that moderate amounts of soy or soy milk can do any harm to healthy adults. If you’re looking for an easy DIY alternative milk, look no further than cashew milk. It can be made from mixing either cashew butter or cashew nuts with water. If you’re making it at home, you can mix in honey, agave nectar, or a date to add sweetness. Despite this, it isn’t as nutritious as cow’s milk. It may contain less than 1/3 of the calories and half the fat but it also has significantly less protein. Since it doesn’t have a lot of protein, it’s not the best option for those with increased protein needs. If you struggle to meet your daily protein requirements, you may want to look into other types of milk alternatives for higher-protein milk. 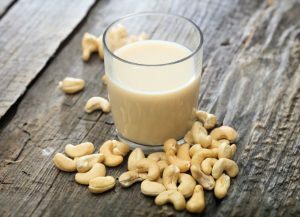 However, unsweetened cashew milk is a great low-calorie option for those looking to reduce their daily calorie intake. The low sugar and carbohydrate content is also great for people who have diabetes or those who need to monitor their carb intake. Cashew milk is creamy and rich with a subtle but sweet, nutty flavor. It’s great for smoothies, as well as a substitute for cow’s milk in desserts. Out of all the options for non-dairy milk, rice milk is the least allergenic. This makes it a great option for those with intolerance’s or allergies to dairy, soy, nuts, or gluten. It is naturally sweet in flavor but also has a very mild taste. It’s tasty to drink on its own or to add to smoothies and desserts. It contains a similar amount of calories as cow’s milk, but approximately double the carbohydrates. 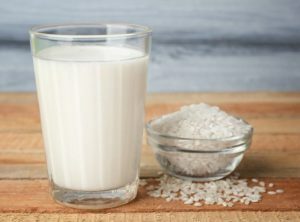 Rice milk contains around three times the amount of carbohydrates compared to other dairy-free milk alternatives. It also contains less fat and protein than cow’s milk. Rice milk is processed, milled rice that is then blended with water to create a milky liquid. It usually also contains thickener to improve the taste and texture. It may not be the best option for diabetics because it has a high glycemic index. This means that your blood sugar levels rise as the milk is absorbed quickly into the gut. Since it doesn’t have much protein, it probably isn’t the best option for athletes, growing children, and the elderly. According to the FDA, you’re not advised to rely solely on rice and rice products. You should eat the grain in moderation alongside a well-balanced diet. 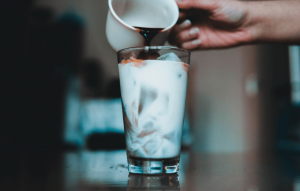 Although it has been popular in Europe for decades, oat milk has only recently begun to gain popularity in the States. It’s cheap while also being easy to make for yourself at home. The milk is made from a mixture of water and oats in its most basic form. All you need to do is soak oats in filtered water between 30 minutes and 12 hours. Manufacturers usually add extra ingredients to produce a desirable texture and taste. Ingredients such as gums, oils, and salts are examples of what might often be added. Oat milk has a naturally sweet and mild flavor. It’s a great substitute for cow’s milk in cooking. A major benefit of oat milk is its ability to lower cholesterol levels. It’s high in fiber and beta-glucan. Beta-glucan is a type of soluble fiber that creates a thick gel as it passes through the gut. It also binds to cholesterol, which in effect reduces its absorption in the body. It specifically lowers LDL cholesterol, the type that’s associated with heart disease. This isn’t just hear-say. 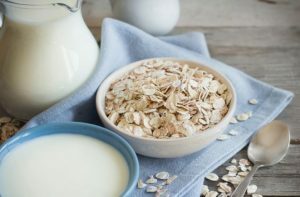 There have been studies and they showed a decrease in cholesterol and LDL cholesterol after drinking 25 ounces of oat milk every day for five weeks. Made from the seeds of a hemp plant, hemp milk is also known as Cannabis sativa. The same plant is also used to make marijuana. Hemp seeds only contain a tiny amount of the chemical that’s responsible for the effects of marijuana. It only takes a few ingredients for you to be able to make this at home! You’ll need hemp seeds, water, and salt. If you want your milk to be sweeter you can add dates or vanilla extract. If you want it to be chocolate milk you can add cocoa powder or fresh berries for ‘berry milk’. The taste of hemp milk is slightly sweet, nutty, and watery. It’s most similar to skim milk in its thickness. Hemp can also be a substitute for skim milk in any recipe. It contains a similar amount of fat as cow’s milk, but also half the protein and calories. In addition, it contains significantly fewer carbohydrates. It’s a great option for vegans and vegetarians since there are 2 to 3 grams of high-quality protein with the essential amino acids. 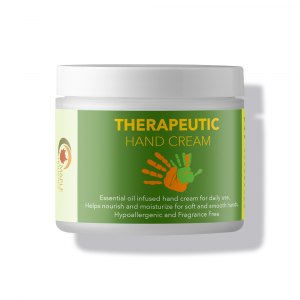 It’s also a source of two essential fatty acids – omega-3 and omega-6. Seeing as your body isn’t able to make these fatty acids on its own they have to be obtained through your diet. Coconuts ready to be made into milk. Out of all the non-dairy milk alternatives, coconut milk has the lowest protein and carbohydrate content. If you’re looking for a way to get more protein, this isn’t the best option. But, if you want to reduce your carb intake, this could be the perfect fit. Coconut milk has a very creamy texture with a sweet and subtle coconut flavor. The white flesh of brown coconuts is mixed with water to create the milk. You can usually find it sold alongside cow’s milk in supermarkets. It’s a more diluted version of the coconut milk they use in Southeast Asia and Indian cuisines. 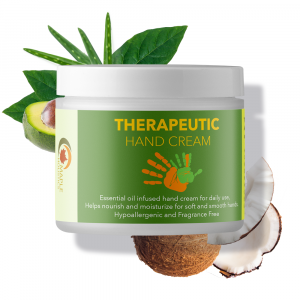 About 90% of the calories in coconut milk come from saturated fats. This includes a type of saturated fats known as medium-chain triglycerides. These may help to reduce your appetite which can aid in weight loss. They are also able to improve blood cholesterol more than other fats. It could also raise LDL cholesterol which isn’t great. 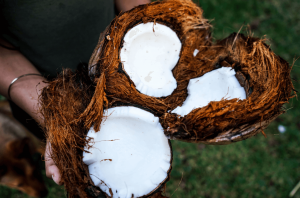 That being said, seeings as a lot of the research wasn’t conducted on coconut milk specifically the findings to suggest this can’t be fully trusted. Drinking coconut milk in a moderate amount as part of a healthy diet shouldn’t cause you any direct health problems. A great plant-based alternative to dairy milk is hazelnut milk. It’s not as popular as the other alternatives, but it’s a wonderful option. This nut is naturally soy, lactose, and gluten-free. It’s also low in calories and contains no cholesterol or saturated fat. As if that wasn’t enough, hazelnut milk is also a good source of vitamins B1, B2, and B6. All of these vitamins are essential in mental health and blood formation. This milk may also be able to help you get healthy hair and skin while also boosting the health of your heart muscles. This is due to the fact that it contains a rich source of vitamin E.
The taste of hazelnut milk isn’t anything like dairy, cow’s milk. It has a similar taste to almond milk but with a stronger nuttier flavor. It is, however, very versatile and can be used in cooking as a substitute for cow’s milk or drunk plain with a hot beverage or cereal. 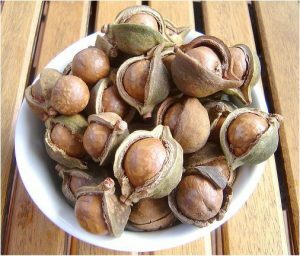 Hazelnuts are known to help prevent anemia, heart disease, and potentially even cancer. They are also rich in folic acid which is important for adults and growing babies. It helps produce red blood cells and move oxygen around the body. You can also drink hazelnut milk to keep your cholesterol and blood pressure in check since it’s rich in plant-based omega-3 fatty acid. 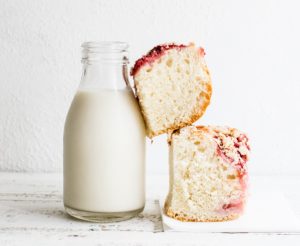 Enjoy some cake with your alternative milk. 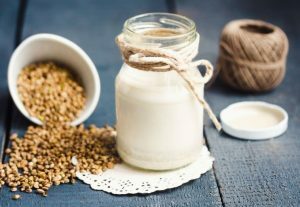 Flax milk is one of the newer dairy-free milk alternatives on the market and is full of health benefits. Cold-pressed flax oil and filtered water are combined to make the milk. It’s naturally lactose-free and completely free of cholesterol as well. This makes it a very healthy option for your heart. It contains omega-3 fatty acids which has been shown to help prevent heart disease, strokes, diabetes, and cancer. Vitamins like vitamins A, B12, and D are often added to flax milk in order to strengthen it. It also has about the same amount of calcium as other milk alternatives. All of the varieties of flax milk are low in calories, but the original and vanilla flavors contain a little sugar from evaporated cane juice. At the same time, it has considerably less sugar than the other vegan milk alternatives. Flax milk is also free of the top eight allergens, such as gluten and soy. 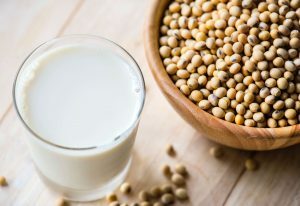 It may not have the same health benefits of soy milk, but it’s a great alternative for those that are allergic to soy. Flax milk is also a lot creamier than a lot of the other milk alternatives. Wit that being said, a lack of protein is one of the downsides of flax milk. But don’t worry, there are plenty of other plant-based sources of protein to fill your needs! 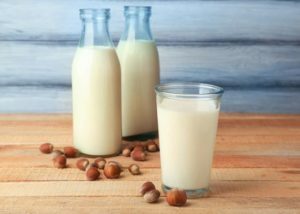 Something of an unknown in the alternative milk sphere, macadamia nut milk is relatively new to the market. It’s actually mostly water and only about 3% macadamia nuts. Most of the brands that make macadamia nut milk are made in Australia, using Australian nuts. It contains about half the fat and 1/3 of the calories compared to cow’s milk. Macadamia nut milk is lower in protein and carbohydrates. This makes it a great option for those with diabetes or people looking to reduce their carb intake. 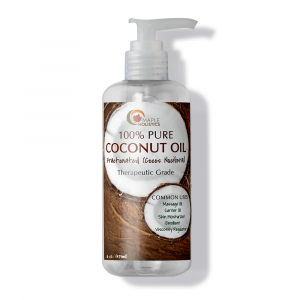 Macadamia milk has a creamier, smoother, and richer flavor than most non-dairy alternatives. You can drink it alone or in smoothies and coffee. As if that wasn’t enough this milk is also very low in calories. It only has about 50 to 55 calories per cup. It’s a great option for those trying to decrease their daily calorie intake. Macadamia nut milk is also a great source of healthy monounsaturated fats. It has 3.8 grams per cup. Monounsaturated fats may be able to help reduce your blood cholesterol levels, blood pressure, and your risk of heart disease. This is especially true if it’s replacing carbohydrates and saturated fats in your diet. Many people heavily rely on cow’s milk to be a part of their diet. There are many reasons as to why someone would forgo dairy milk. It could be because of allergies, health risks, or ethical reasons. Luckily for you, there are plenty of alternatives available. When choosing a non-dairy alternative, you should pay close attention to its nutritional value. Most dairy-free milk alternatives are fortified with additional nutrients as well as added sugars. Therefore, it’s important that you check the label before purchasing. It’s very possible to cut out dairy from your diet and obtain the nutrients elsewhere, but you just need to be sure to eat a well-balanced diet. It can be difficult to know which dairy-free milk alternative is right for you. There’re many factors you should consider if you want to substitute your dairy milk. You should look out for added sugars, vitamins, calcium content, and additional additives. You should try to avoid flavored milk and brands that list sugar as one of their first 3 ingredients. If you don’t eat any animal products, you should drink a type of milk that’s fortified with vitamin B12. Vitamin B12 is only found in animal products and, therefore, you need to find a way to get it into your diet. Cow’s milk has a lot of calcium, so your dairy-free alternative should as well. There isn’t one milk that’s perfect for everyone, so it might take you some time to find the right fit for you.